Variegated Buckhorn. Bushy evergreen. 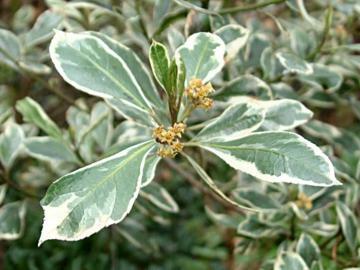 Glossy grey-green leaves with creamy white margins. Small brownish yellow flowers in spring or early summer. Berries in Autumn.